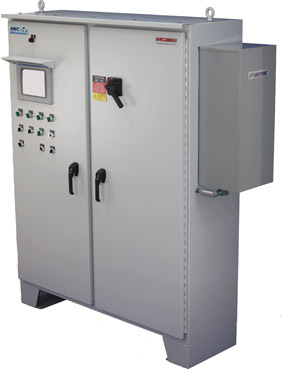 Motor Controls MPC series pump station controllers provide automated variable speed control of multi-pump applications. Boosters, Tank Fill and lift stations. Ideal for retrofitting existing stations with energy conserving controls. Introducing our new line of configurable multi-pump control system with optional cloud based remote monitoring and notifications with any web enabled smart device such as a tablet or cell phone. 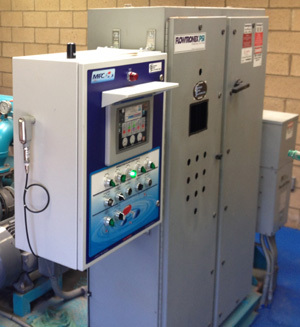 The MPC upgrades your existing pump station with control operation that is designed to maximize energy savings and allow you to select the most efficient operation for your course. The MPC can provide you with constant updates on your pump station status and notify you of a situation requiring immediate attention. 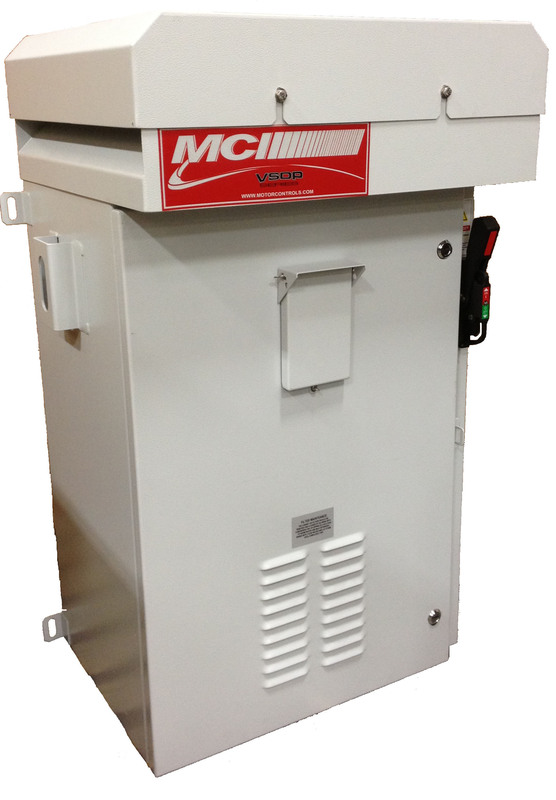 Motor Controls MPC series pump station controllers provide automated variable speed control of multi-pump applications. Boosters, Tank Fill and lift stations. Our Door Retrofit Kit may be cut into any panel saving your field installation time. 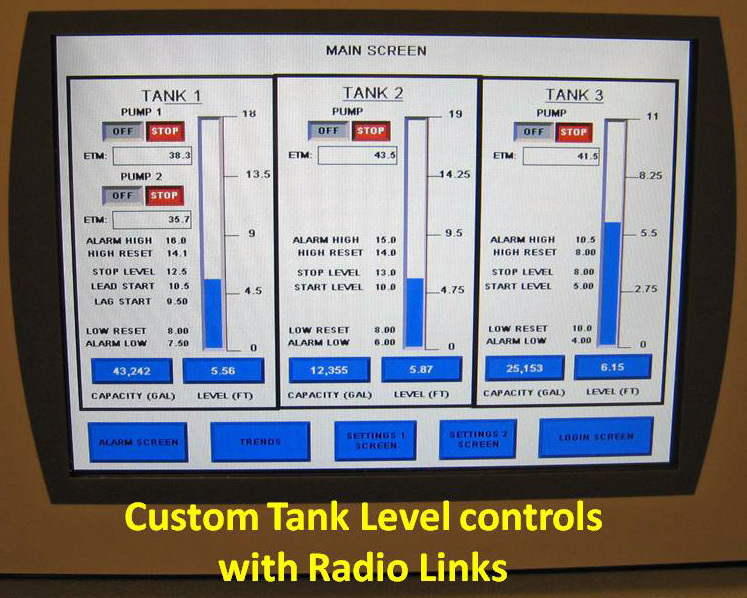 Monitor and Control mutable levels in Lakes or tanks. Connect remote equipment with Radio or hardwire communications. Perfectly suited for high-volume applications our products are robust and ready for any challenge. Whether built-to-order or as a standard design, our pump panel solutions will fit your needs. These panels are specifically designed for Irrigation, Oil & Gas, Petrochemical, Municipal, Industrial and Commercial industries requiring pump control. 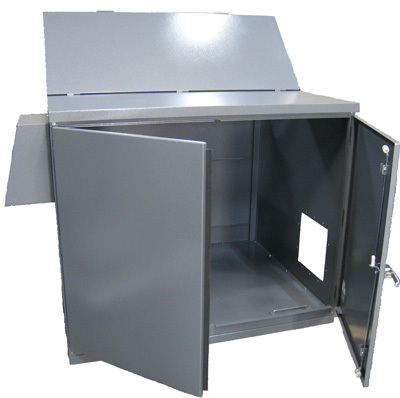 Rugged UL Nema 3R outdoor rated enclosure constructed of 16 gage carbon steel with a polyester powder coat finish for superior corrosion resistance. Continuous bead, form-in- place door gasket with quarter-turn door latches provide the ultimate barrier against the elements and provide ease of entry. 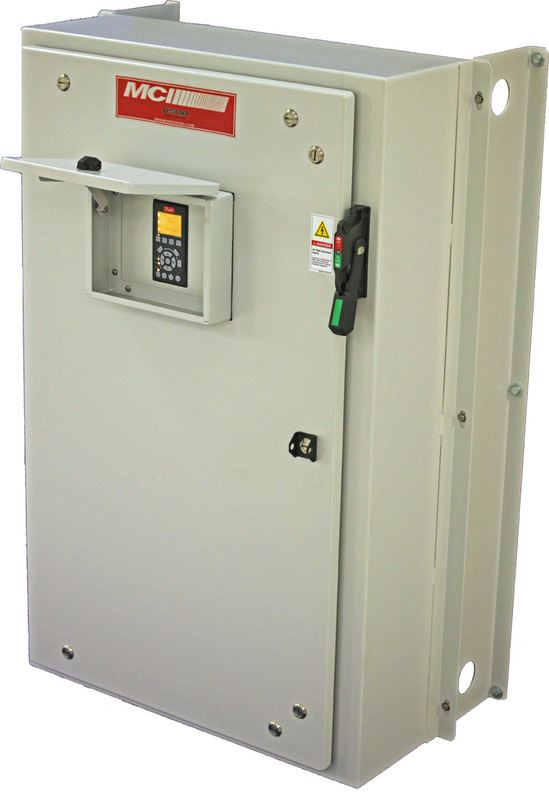 Service entrance rated solutions that includes Heavy–duty fused disconnect switch or circuit breaker disconnect switch. Configured with extra back panel space to allow for the addition of control accessories. Motor Controls SH series of a pump station shelters are available in a variety of materials, construction finish and accessories. Optional Cooling, lighting, and control packages are available.